I saw this on my Facebook feed and I shared and wrote a little blurb to go with it, but I really want to expand further on that. I grew up with the ocean – it is a place that helps ground me and return me to inner peace. It is a part of my soul and the further I get away, the more I feel like I’ve lost a bit of myself. This is the reason I had my handfasting on the beach. But it’s really more than that. Being there often puts me in the same mindset I get when I do yoga – present and in touch with the universe. The waves washing up on the shore is namaste to me. 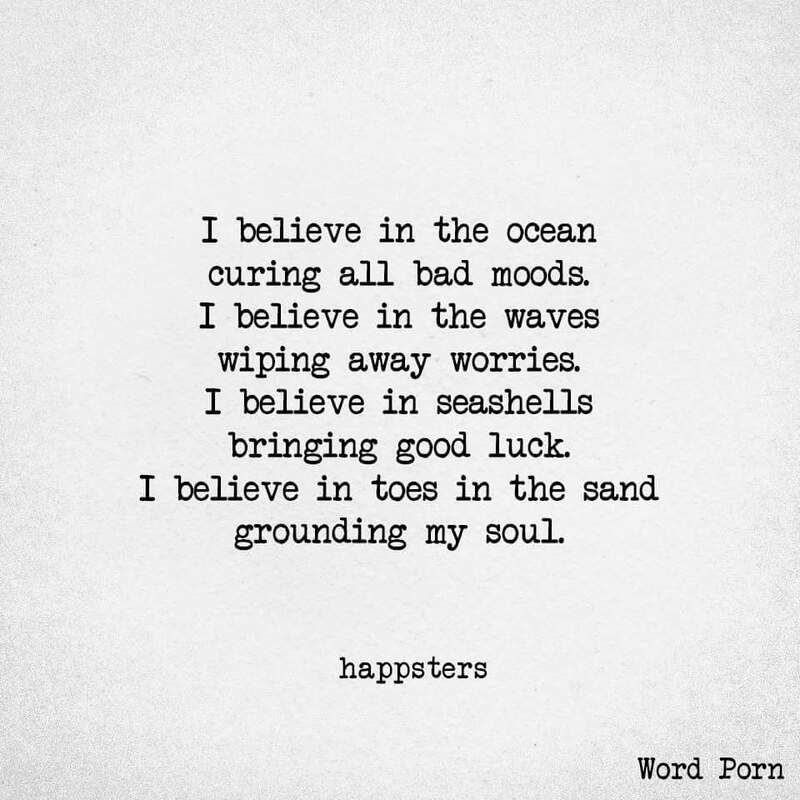 I think this runs in my family – my maternal grandmother moved back here to the Pacific Northwest from her retirement in Arizona because she couldn’t stand to be so far away from the rolling ocean waves. My mother and father took us kids to the ocean at least once a year when I was a kid. One of these days I will go by myself for a weekend or so, but generally I prefer to bring someone I love and trust, who knows me and is open to what that entails. Thank you for the letter you sent me a couple days ago. I appreciate it very much, and I’m flattered, that you care enough about my opinion to send it. I’m a child of the sixties, and my cultural conditioning tells me that polyamoury leads to trouble. That may or may not be true; but it still makes me a bit uneasy when you talk about your new boyfriend and it develops that he’s married. I worry that your loving heart could lead you into heartbreak, unpleasant scenes, disaster. However, your mother reminds me that you are an adult, a smart and well-educated adult, and undoubtedly more in touch with the cultural zeitgeist than I am. And of course, I have to accept the truth of that. So I wish you the best of luck in your romantic endeavors. Keep your mother and me posted; when you’re happy we’ll be happy along with you, and of course we’ll always be ready to provide unconditional love and support if anything should go wrong. I think this shows hope – my dad can be a bit, well, behind in his thinking sometimes. But the thing is, I know his intentions are good. There’s room for growth here – my thought is that the Dan Savage approach here is probably best – keep exposing them to it in a “this is part of my life, part of me” kind of way so that they can see how happy this makes me. It becomes something they get used to over time. What do you think? Good approach? Could use work?